What are the Best Online Master's in Internet Security Programs? What Else Can I Expect From an Online Master's in Internet Security Program? Over the past 20 years, the internet has become an increasingly prevalent part of our lives. As more companies discover how to use data, the demand for internet security professionals continues to skyrocket. Currently, the Bureau of Labor Statistics (BLS) projects 28% growth in the internet security field between 2016 and 2026. Earning an online master's in internet security will prepare you for a wide variety of careers in almost any industry. Several online master's in internet security programs allow you to obtain a degree from the comfort of your own home. No. While work experience in IT or cybersecurity will appeal to employers, it is not an admission requirement for most online master's in internet security programs. However, most programs will expect you to have a programming background in addition to certain undergraduate coursework, specifically in areas such as calculus, programming, computer science, and computer organization. There may be additional undergraduate coursework required based on your chosen concentration. Several factors can help you to find the best master's degree in internet security that fits into your life. When searching through potential programs, you should consider whether you prefer to study in a program that offers coursework synchronously or asynchronously. You will also want to determine which concentration to pursue, such as cybersecurity, networks, or analysis. You might also consider what type of capstone experience you would prefer, as some programs include a thesis requirement. Can I Work While I Complete My Online Master's in Internet Security? Yes. Most of the best online master's in internet security programs offer both full- and part-time options with the option of asynchronous learning, which allows students to work through coursework at their own pace throughout the week. Coursework for these programs is usually available 24/7 through an online platform, including recorded lectures and other materials. Therefore, working professionals can pursue a part-time master's in network security online and complete coursework when their schedule permits. What Are The Advantages to Earning My Master's in Internet Security Online? The main advantage to earning an online master's in internet security is convenience. Many programs are delivered asynchronously, allowing students to complete coursework at their own pace. As a result, students can work full time and earn an online master's in internet security concurrently. Internet security students are likely the best suited for distance learning, as their work involves regular use of computers, the internet, and programming languages. Johns Hopkins University in Baltimore offers an online cybersecurity master's degree with three tracks: networks, systems, and analysis. Graduates can assess and respond to cybersecurity risks in four areas of cryptology, including encryption, hash functions, signature schemes, and authentication. The program can be completed entirely online, on campus, or in a hybrid format. Classes include three foundational courses, five courses from the cybersecurity program, and two chosen electives. At least three courses must be completed within the learner's selected track. Johns Hopkins considers transfer credits on a case-by-case basis, limiting the total number of transferable courses to two. Program prerequisites include one or more years of calculus, at least one additional math course beyond calculus, a programming course in either Java or C++ (although Java competency is expected), a course in data structures, and a course in computer organization. Each track also includes an additional prerequisite, such as a course in networking for the networking track, a course in operating systems for the systems track, and both of these courses for the analysis track. Students can complete any prerequisites not yet met at the time of acceptance either at Johns Hopkins or at another accredited institution; however, students will hold provisional status in the program until they have completed all prerequisite coursework. The online cybersecurity master's degree offered by the University of Southern California benefits those looking to start a cybersecurity career immediately after graduation, those who want to continue on and earn a Ph.D., and those already in the workforce looking to gain additional expertise. The program focuses on the planning, engineering, and operation of cybersecurity systems. Students learn how to develop security policies and how policy influences technology. Graduates understand both the challenges of administering secure systems and the solutions needed to do so. USC's cybersecurity master's program takes place entirely online, although students do have the option of visiting campus. Learners gain hands-on experience through laboratory simulations designed by current and former cybersecurity professionals. Students can access lectures live or on demand, and online learners receive access to the same faculty and classes as their on-campus peers. Distance learners also receive assistance in the form of advising and orientation programs. Full-time students can complete the program in as few as 18 months, while part-time students usually complete requirements in 2-4 years. Applications for the fall semester are due by December 15 of the preceding year if students want to be considered for scholarships. The analogous spring semester deadline falls on August 31 of the preceding year. Additionally, students who wish to take courses but not formally pursue this degree can enroll with limited status. New York University offers an online master's in cybersecurity through its engineering school. NYU holds designation as a National Center of Academic Excellence in Cyber Operations. The curriculum also meets the Committee on National Security Systems training standards. Additionally, NYU maintains the Information Systems and Internet Security laboratory and the VITAL virtual laboratory, which are used by several universities in New York City. Admittance into the program typically requires an undergraduate degree in computer science, engineering, mathematics, or a related field. This should include at least one year of university-level science, mathematics through calculus, knowledge of at least one programming language (C++ preferred), and an understanding of data structures. Students with an undergraduate degree in a different field may still be accepted if they complete a bridge course or three preparatory courses. This 30-credit degree consists of three computer science courses, four security courses, and three elective courses. Students can pursue an additional cyberops specialization, which the National Security Agency recognizes as a cyberoperation program. Students also have the option to complete a master's thesis over two semesters or a research project in one semester. Regardless of their undergraduate degree, applicants must submit a statement of purpose and GRE scores. Learners may transfer up to nine credits of graduate-level work from another institution. The master of information and cybersecurity degree offered by the University of California, Berkeley remains one of the best online cybersecurity master's programs available in the country. Graduates benefit from connections with faculty and alumni throughout the San Francisco Bay region — an area rich in technological innovation. Its location helps the school recruit faculty with extensive experience. This degree prepares students for leadership positions within their chosen field. In addition to developing the technical skills necessary for success, students also gain knowledge related to the legal, economic, ethical, and behavioral factors of cybersecurity. Berkeley's 20-month program consists of nine courses, including electives and a capstone project. Required coursework includes managing cyber risk; privacy engineering; government, national security, and the fifth domain; and operating system security. Students must attend one in-person immersion event, either on campus or at another relevant location. Program applicants must submit either GRE or GMAT scores, a current resume, two professional letters of recommendation, a statement of purpose, and additional statements as needed. The application fee is $105 for domestic students and $125 for international students. Western Governors University's online cybersecurity master's degree features two certifications: EC-Council Certified Ethical Hacker and EC-Council Computer Hacking Forensic Investigator. The price of tuition covers certification costs. WGU's nine-course online cybersecurity master's program generally takes 20 months to complete, but learners can earn their degree in as few as six months through WGU's competency-based learning model. This model allows students with existing knowledge and experience to pass through courses more quickly. Learners complete courses by demonstrating mastery of the material. Each student gains access to a program mentor who helps them plan a personalized course of study, from their first class through their capstone project. The capstone project comprises an original research piece where student's propose a solution to a current business or security issue. In addition to the standard university admission requirements, the cybersecurity program requires that applicants prove IT security experience in one of three ways. Prospective students can hold a bachelor's degree in either IT security or IT networking, possess any sort of bachelor's degree and one of several certifications earned within the previous five years, or hold a degree and submit a resume that demonstrates recent and significant IT security experience. The University of Dallas offers an online cybersecurity master's program through its business school. This program is designated as a National Center of Academic Excellence in Cyber Defense Education by the National Security Agency and the U.S. Department of Homeland Security. Learners can complete UD's 30-credit master's in cybersecurity program in 1-2 years through an online, on-campus, or hybrid format. Ten courses cover topics that include software development security, asset security, identity and access management, and security engineering. The program covers the eight domains of cybersecurity associated with the Certified Information Systems Security Professional — an industry-standard certification. Applicants must hold a bachelor's degree from an accredited institution. They must also demonstrate an undergraduate GPA of at least 2.0 and have a minimum 3.0 GPA in any graduate-level coursework they wish to transfer. In addition, applicants need to hold at least six undergraduate credits in cybersecurity, earned with a grade of B- or better, or they must complete UD's foundations of cybersecurity course. The online cybersecurity master's degree offered by Syracuse University prepares students for success in an ever-changing field. The program focuses on five areas: designing new computer and information systems, protecting existing systems, analyzing and detecting malware, detecting anomalies and data mining, and performing systems assurance. Syracuse's online cybersecurity master's degree comprises 30 credits, split evenly between core classes and electives. Classes feature live weekly lectures, interactive coursework, and small group collaborative exercises. Syracuse holds National Security Agency designation as a National Center of Academic Excellence in Information Assurance Education and Research. Students can access on-campus immersion opportunities to explore specific subjects and network with faculty and peers. Application requirements include a current resume, two letters of recommendation, official GRE scores (for students with a GPA below 3.0), and a 500-word personal statement. The program best suits students who already hold bachelor's degrees in cybersecurity or another computer science field, although other applicants will also be considered. Students need competency in one or more programming language as well as knowledge of systems, data structures, and discrete mathematics. Students enrolled in the online master's in cybersecurity program at the University of Delaware benefit from the school's location between New York City and Washington D.C., which gives the university access to many corporate and government communities that influence the field. For example, UD holds partnerships with JPMorgan Chase, IBM, and the U.S. Army, allowing faculty and students to work on cutting-edge research. UD also holds recognition as a National Center of Academic Excellence in Cyber Defense Education from the National Security Agency and the Department of Homeland Security. Students who earn UD's cybersecurity master's degree online take 10 courses totaling 30 credits. They usually graduate after two years of full-time study. Students can begin the program in the spring, summer, or fall semesters and do not need to make any campus visits. However, online students may attend campus events if they wish. Applicants must hold a bachelor's degree in computer science or a related field, such as electrical or computer engineering, physics, or mathematics, earned with a minimum 3.0 GPA. Students should also demonstrate competency in at least one programming language, such as Java or C++. Applicants must submit three letters of recommendation and score at least 150 on the quantitative GRE section and 300 on the qualitative GRE section; however, some applicants may qualify for test waivers. Students who do not speak English as their first language must also score at least 550 on the TOEFL. Drexel University offers an online cybersecurity master's degree that gives students the flexibility to focus their studies. This 45-credit program consists of four foundational courses, 24 credits of electives within the cybersecurity track, and nine credits of electives chosen from a variety of affiliated departments. Faculty deliver courses through four 10-week quarters, allowing students to expedite degree completion. The curriculum is aligned with corporate, government, healthcare, and other industry needs, preparing graduates for a growing and dynamic field. This program best suits students with backgrounds in computer science, computer or electrical engineering, telecommunications, and/or other technical fields. Admission does not require a specific bachelor's degree, so applicants from other fields may apply; however, they must prove foundational knowledge relevant to the field. Drexel also offers a post-baccalaureate certificate program in computer science that provides important foundational knowledge needed to succeed at the master's level. One of the largest private universities in the country, Philadelphia-based Drexel was founded in 1891 and now hosts more than 25,000 students. In 1983, Drexel became the first university to require that all students receive access computers for all courses. Lewis University — located in Romeoville, Illinois — offers a highly personalized master's in computer science with a cybersecurity concentration. This 32-credit online program includes a core research course; four courses related to programming, systems, and theory; five concentration courses; and a capstone project. Courses offered within the cybersecurity concentration cover topics like security for Windows or Linux systems, digital forensics, and enterprise network security. Established professionals benefit from the freedom to choose their cybersecurity concentrations, exploring certain aspects of cybersecurity in greater detail. The school's master's in cybersecurity focuses on research, and students publish capstone works that contribute to the larger field of computer science. This helps graduates stand out when applying for jobs or pursuing further education. Applicants must hold a bachelor's degree earned with a minimum 3.0 GPA, although students with lower GPAs may gain acceptance on a conditional basis. Applicants with a degree in computer science, computer or electrical engineering, mathematics, or information systems receive preference, but those with other degrees may still apply. Students without a computer science background must take up to four additional courses to provide the foundations needed to complete master's-level coursework. A Christian university in Virginia Beach, Regent University offers a master's in cybersecurity online. This program is recognized by both the National Security Agency and the Department of Homeland Security. Coursework addresses the challenges of network security, risk analysis, and threat response within the framework of a Christian worldview. The 10-course cybersecurity program requires a total of 30 credits, which students complete through eight-week sessions. Students can choose from multiple start dates throughout the year. Regent's master of cybersecurity degree includes two concentration options: cybersecurity management and cybersecurity policy. The management track focuses on the leadership and management skills needed to develop and implement security plans within an organization. Alternatively, students interested in cybersecurity policy examine the intersection of cyber issues and society, religion, politics, international relations, and the military. Applicants must hold a bachelor's degree earned with a minimum 2.5 GPA. The program reviews applicants based on their background in computer science or related fields, organizational leadership experience, academic achievement, and a student's perceived alignment with the intended outcomes of the program. Founded in 1977, Regent now hosts more than 10,000 students. The university offers bachelor's, master's, and doctoral degrees in 132 different fields of study. Regent University holds accreditation from the Southern Association of Colleges and Schools. Located in Lynchburg, Virginia, Liberty University offers a 36-credit online cybersecurity master's degree. Students can graduate from this program in 18 months. Faculty deliver online courses through eight-week sessions. Transfer students can bring in up to half of their credits from another accredited institution. Courses within the program cover topics like security engineering, applied cryptography, ethical hacking, and digital forensics. Students also complete a capstone project at the end of their 12-course program of study. Applicants must hold a bachelor's degree in information systems, information systems management, information technology, management information systems, computer science, or computer programming. A Christian university founded by Jerry Falwell in 1971, Liberty teaches with a biblical worldview. Starting with 154 students, the university has grown to host tens of thousands of learners studying in more than 600 programs. Liberty was also one of the first schools to establish a significant distance learning program in 1985. The school holds regional accreditation from the Southern Association of Colleges and Schools. Founded in 1966, Bellevue University is located in Nebraska. The school operates as a nonprofit, open institution with more than 50,000 alumni. BU is designated by the National Security Agency and the Department of Homeland Security as a National Center of Academic Excellence in Information Assurance and Cybersecurity. To this end, the school offers a popular online cybersecurity master's degree. Participants in this program learn to develop and evaluate policies, create standards and guidelines for cybersecurity, and communicate cybersecurity-related information to others. Additionally, they can assess risk management and compliance and recommend strategies to deal with security threats. This 36-credit program includes 27 credits of core requirements and nine credits of electives. Required courses cover computer forensics, cybersecurity governance and compliance, human aspects of cybersecurity, and information security management. Elective courses feature information warfare, cloud computing, white collar crime, and managing project risks. BU offers its program in two formats, which students can pursue online or on campus. In addition to the traditional model, students with professional experience in the field can join an accelerated cohort to earn their degree more quickly; applicants to this track must possess at least three years of experience in IT. The accelerated variant comprises six sessions, with each session containing two courses. National University offers an online cybersecurity master's degree that lets participants choose from one of two concentrations: ethical hacking and pen testing or information assurance and security policy. Graduates prepare to analyze, compare, and evaluate cybersecurity systems and risks. They also learn to design and implement those systems. All students follow a required track of nine courses and then diverge into other courses in their chosen concentration. Required courses cover cybersecurity toolkit utilization, threat modeling, and cloud security. Three project-based courses include in-depth research. The ethical hacking and pen testing concentration covers information systems vulnerabilities and features two courses focused on attacking and defending computer systems. Alternatively, the information assurance and security policy concentration has courses on disaster recovery and business continuity. Each class in this program lasts four weeks, allowing students to move through coursework rapidly. National University is a veteran-founded, nonprofit institution that has graduated more than 150,000 students since 1971. Rolling admission allow students to fit their academic schedule into their personal schedule. As a Yellow Ribbon school, National University offers tuition discounts to servicemembers and their dependents. Faculty deliver courses online and in person at more than 20 campuses in California and Nevada. Founded in 1872 as an academy for women, Maryville University has since expanded considerably, allowing working men and women in the St. Louis area to earn degrees on a part-time basis. Students can complete Maryville's online cybersecurity master's program in 18 months with no on-campus visits. To keep students abreast of the ever-changing cybersecurity field, Maryville offers a program built on practical exposure through the extensive use of case studies. The curriculum also takes a holistic approach, touching on business and engineering topics while pushing students to develop the technical skills needed to secure a job. Courses approach the subject of cybersecurity from offensive and defensive perspectives, giving students a deeper knowledge of the risks networks face and the insight needed to develop and deploy effective countermeasures. The program also covers various legal aspects of cybersecurity, including privacy, intellectual property, and online speech. Since Maryville hosts its cybersecurity program through its business school, the curriculum is informed by the needs and trends of the businesses and industries that tend to employ cybersecurity professionals. Maryville is accredited by the Higher Learning Commission, while its business school holds additional accreditation from the Accreditation Council for Business Schools and Programs. Students can earn a cybersecurity master's degree online from the University of Arizona. Offering six admission dates throughout the year, the program targets working professionals who possess a bachelor's degree and at least three years of technical experience. The program's combination of theoretical learning and hands-on experience has led to the university's designation as a National Center of Academic Excellence in Information Assurance Education by the Department of Homeland Security and the National Security Agency. Interdisciplinary in nature, the program employs faculty from the school's departments of management information systems, electrical and computer engineering, and systems and industrial engineering. Students choose one of two tracks: information systems or physical systems. Core courses cover information security in the public and private sectors and data mining for business intelligence. Information systems coursework covers cyberwarfare and penetration testing, while physical systems classes feature engineering statistics, information security and research, and machine learning. The University of Arizona was founded in 1885 as a land-grant college and currently generates about $8.3 billion per year for Arizona's economy. Continually at the forefront of the sciences, the school helped NASA land on the moon and has been involved in every planetary mission since. The university's more than 44,000 enrolled students and over 15,000 employees help push boundaries in over 370 fields. Designated a National Center of Academic Excellence in Information Assurance Education by the National Security Agency and the Department of Homeland Security, Mercy College offers one of the best online cybersecurity master's programs available. Comprised of 30 credits, this program's curriculum covers forensic computing, internet media and security, applied cryptography, and firewall and intrusion detection. It also offers a thesis and optional capstone project, allowing students to engage in research and accrue hands-on experience. Applicants must hold a bachelor's degree and submit a letter of recommendation and a two-page statement describing why they chose the program and how it will benefit them. Students should also be familiar with computer science and related fields, although the program does offer a refresher course. Applicants with a GPA below 3.0, as well as those who cannot demonstrate knowledge of cybersecurity and computer science, may still be accepted following an interview with the head of the program. All requirements for the degree must be completed within five years of enrolling. Since its founding in 1950, Mercy College has graduated more than 64,000 learners and currently enrolls more than 10,000 students. The college became a leader in adult education in the 1980s, and began offering online courses in the 1990s. La Salle University offers an online cybersecurity master's program. Students take eight-week classes in the fall and spring, and they can also enroll in a summer term. Students typically graduate in under two years. The program offers its courses online and asynchronously, although students have the option of taking some courses synchronously. Classes cover ethics of cybersecurity, government regulations, leadership, cybercrime, and internet fraud. The program also includes a capstone in which each student completes a project or learning experience relevant to their professional interests and goals. Applicants must provide two letters of recommendation and a resume. They must also undergo an interview with the admissions committee, which is usually conducted over the phone. Applicants should possess a bachelor's degree in computer science, business administration, mathematics, or a related field. Some admitted students may be required to take one or more foundational courses in order to get up to speed. Founded in 1863, La Salle operates as a Catholic university that accepts students and faculty of all backgrounds. It ascribes to the Lasallian principle that all knowledge is practical and empowering. Graduates of the online cybersecurity master's program at Penn State approach problems of cybersecurity from both social and technological points of view. This program brings together faculty, theories, and methodologies from a variety of fields to create a multidimensional and interdisciplinary approach to cybersecurity. Graduates can think beyond the immediate issues of cybersecurity and conceptualize how responses to threats or risks can impact other aspects of society. While holding a bachelor's degree in computer science, statistics, engineering, or a related field may be beneficial to applicants, it is not required. Any bachelor's degree can prepare students for this program, provided they have some relevant technical experience through previous work or professional training. Part-time students can complete this 33-credit program in two years, and participants may transfer in up to nine credits from another institution. The program consists of three core courses, four cybersecurity and information assurance courses, and three electives. Students must also complete a capstone project exploring an issue in the field. Penn State has offered online classes since 1998, and cybersecurity represents just one of 150 programs available online. Penn State's World Campus serves more than 20,000 students from across the country and around the world. Excelsior College offers an online cybersecurity master's program with an optional concentration in information assurance. This program targets students looking to explore the software integration aspects of cybersecurity. Excelsior College also houses the National Cybersecurity Institute and is designated as a National Center of Academic Excellence in Cyber Defense Education by the Department of Homeland Security and the National Security Agency. This program requires students to complete 30 credits, at least 21 of which must be taken at Excelsior College. Featuring classes like foundations of cybersecurity, network and communication security, and information assurance, faculty deliver online curriculum in eight-week terms. Participants can complete the program within two years. The program does not require GRE scores for admission. Excelsior College offers over 30 programs in the fields of liberal arts, business, health sciences, technology, nursing, and public service. To date, more than 170,000 individuals have earned their associate, bachelor's, or master's degrees through Excelsior College. The school holds accreditation from the Middle States Commission on Higher Education. University of Maryland University College's online cybersecurity master's degree prepares graduates for three of the top certifications in the field: computer information systems security professional, global information assurance certification, and certified ethical hacker. This program consists of 36 credits, six of which students can transfer in from another institution. Offered online with some hybrid options, courses cover cybersecurity leadership and problem-solving, digital forensics, and prevention of cyberattack methodologies. Students must take courses in a specified order and earn a "B" or better in each class. A background in IT is necessary to complete the program, although applicants without this background can take noncredit foundational courses to prepare them for success. UMUC is a leader in adult and distance learning, and it has been offering online courses since the 1990s. It was also the first university to send faculty to Europe to educate active-duty soldiers. The majority of UMUC students are working adults — the average age of learners at the school is 30 — and more than half of all students are working parents. Southern New Hampshire University's online cybersecurity master's degree quickly prepares graduates for a career in this growing field. Students enrolled in two courses per term can earn their degrees in 15 months. SNHU using a rolling admission process, allowing students to begin during any of the school's five terms. Additionally, the program has no GRE requirements. SNHU's 36-credit cybersecurity program focuses on the management of networks and the knowledge needed to keep information secure. Cyberoperations, forensics, and intelligence gathering also feature strongly in the program. Courses cover human factors in security, risk analysis and planning, and incident detection. Students also complete a capstone course that synthesizes what they have learned throughout the program. One of the fastest-growing universities in the country, SNHU was founded in 1932 as a school of accounting and secretarial science. Today, it offers more than 200 programs at the bachelor's, master's, and doctoral levels. SHNU also educates more than 90,000 students online. The university holds regional accreditation from the New England Association of Schools and Colleges. Robert Morris University offers an online cybersecurity master's degree. Students can choose from a concentration in either cybersecurity and information assurance or enterprise systems. Both options consist of 30 credits. Information assurance focuses on the development of systems, keeping them secure and compliant with current standards. Alternatively, the enterprise systems option focuses on the maintenance of mainframe systems in organizations that deal with cyberterrorism and global security issues. Core courses in the program feature secure programming, hardware and operating systems, and information technology governance. The enterprise systems concentration covers Cobol programming, while the information assurance concentration gives students the freedom to choose from related electives. Applicants should be familiar with computer science or cybersecurity and must have completed an undergraduate course in an object-oriented programming language; applicants who do not meet this programming prerequisite may still be considered for admission, but they must take an equivalent undergraduate course at RMU. Located in suburban Pittsburgh, RMU is a private institution founded in 1921. Established as an accounting school with 26 students, it now hosts more than 80 programs. RMU is accredited by the Middle States Commission on Higher Education, and its cybersecurity program holds programmatic accreditation from the Computing Accreditation Commission of the Accreditation Board for Engineering and Technology. The University of Rhode Island offers an online cybersecurity master's degree that does not include a capstone project. Individual courses require research projects and an internship, the latter of which can take place with a student's current employer if they already hold employment in the field. This 36-credit program consists of five required core courses and four electives. Required classes include information assurance and systems security. To complete elective coursework, students choose from classes like digital forensics, penetration testing, and intrusion detection. Learners who hold interest in the program but are unsure if they want to pursue a full master's degree can instead enroll in related certificate programs; certificate courses can be applied toward an eventual master's degree. Students usually complete the program in 1-2 years, depending on their individual course load and comfort level with the material. The program is offered through three schedules, with one-year and 18-month options for full-time students and a two-year option for part-time students. URI has been designated a National Center of Academic Excellence in Information Assurance Research and Education by the National Security Agency and the Department of Homeland Security. Based in Kingston and founded in 1862, URI is accredited by the New England Association of Schools and Colleges. Based in West Virginia, the University of Charleston was founded in 1888 as a seminary affiliated with the Methodist Episcopal Church South. It opened with just 25 students but currently educates nearly 2,500 learners at two campuses and online. UC offers an online cybersecurity master's degree that students can complete in five terms. The program consists of 10 required courses totaling 30 credits. Students can choose an optional concentration in strategic program management. Courses cover topics like legal issues in cybersecurity, operations management, policy implementation, and cyberpsychology. Students must also complete a capstone project where they organize and implement an in-depth cyberdefense plan. Applicants should hold a bachelor's degree in business, information technology, or a related field. The program prefers students who possess technological knowledge and experience, but it considers all applicants on an individual basis. Additionally, no entrance examinations are required. Students come to UC from around the world to study in the schools 30 undergraduate and eight graduate programs, including 10 distance programs offered online. UC holds regional accreditation from the Higher Learning Commission. Daniel Basile has been in the security industry for more than 18 years and currently leads the security operations center for the Texas A&M University System. He started this group with a very limited budget and has grown the team exponentially to now serve over 250,000 people and protect billions in expenditures. Over his career, Dan has worked in roles like security software tester, information security officer, and HIPAA security officer. He graduated in 2009 from Texas A&M University and recently received a master's degree in cybersecurity from the University of Maryland University College. Why did you choose to earn a master's degree in cybersecurity? Did this field always interest you? I have worked in the cybersecurity field for over 18 years and currently work in higher education, running a security operations center. I chose to pursue a master's degree in cybersecurity as an advanced degree would open up more doors for my future career in this industry. Cybersecurity is a field I have always found interesting and have enjoyed working in. The environment is always changing, and your skill sets need to be continually improved in order to be effective. One of the most crucial skills that I gained was not a technical skill, but rather being able to research information and deliver distilled information that can be used. In this field, there is a constant stream of information being shoveled at us that could potentially impact the business. Being able to quickly identify the critical points and write them up quickly is easily the most crucial skill that I use daily. What was the job search like after completing your master's degree? Did you feel fully prepared to make the transition from school to the workplace? While I had a job already, the cybersecurity workforce is experiencing a job market with millions of open jobs. It is incredibly easy to find a job, and if the applicant is willing to move to where the jobs are, [they] will probably have a hard time choosing between the open jobs. Of all the positions you've held within the cybersecurity field, which did you prefer the most, and why? I have enjoyed all of the roles I have held in the cybersecurity field, but my current one has been the best as it has allowed me to build something that is creating change. The security operation center I started protects multiple universities and state agencies, but we also use it to train undergrads in how to be the next generation of cybersecurity analysts. It is very rewarding to create this next generation while pushing the edge in how to effectively protect these organizations. From combating new security threats, helping to fix vulnerable devices, or even working on project management documentation, every day is different. The largest challenge I face every day is staying on top of the changes that occur constantly. There are always new tools or methods to learn about and new risks to reduce. How do you think the field of cybersecurity will change in the coming years? The field of cybersecurity has always been about reducing risk. We have been watching for the past few years the introduction of more advanced machine learning, allowing for more effective time management by reducing the number of false positives. We will continue to see machine learning used in new and inventive ways to identify threats and allow the people working in the field to dedicate their time to remediating them. The next big shift I think we will see is better information sharing between groups. The federal government is working hard to deliver actionable cybersecurity intelligence to groups willing to partner with them. As everyone who is connected to the internet is under nearly constant attack, it is only through sharing information with others that we will be able to stay on top of the constantly changing threat landscape. What advice would you give to students who are considering a master's degree in cybersecurity? There are a lot of potential options within this field. Many people only think about the groups defending against hackers, but there are auditors, management, policy, and many other aspects that are non-technical. These areas can be just as rewarding and potentially more fruitful than those working in operations. It is all about finding the part of cybersecurity that interests you the most. An online master's in cybersecurity will equip you with cutting-edge tools for protecting digital assets, in addition to fostering a thorough knowledge base that you can continue to upgrade as technology expands throughout your career. Concentrations and course offerings will vary from program to program, but the sections below introduce you to common specializations and core course requirements in the field. This introductory course guides students to a broad understanding of the key principles governing information assurance and data protection. Students also explore the primary types of current cyberthreats, in addition to the functions of various hardware and software products in addressing threats and protecting sensitive, proprietary information. Students proceed from foundational to intermediate concepts in the identification, management, and mitigation of threats to digital assets. Course content observes standard and emerging strategies for categorizing the levels of risk to a given system or network, as well as enterprise risk management and business continuity techniques. These competencies are essential to anyone planning to follow a career path involving liaising with executive management. This survey course prepares students for careers that require a detailed understanding of current regulations and compliance standards. Students create risk analysis and cybersecurity solution models that comply with national and international laws while meeting the standards of third-party vendor agreements and specific organizations. All cybersecurity professional require sound, detailed understandings of network architecture security principles. Coursework examines the application of both logical and physical architecture strategies for wired as well as wireless networks, and it challenges students to adopt network design techniques that minimize risks and vulnerabilities while optimizing performance. Students interested in careers in threat detection, threat mitigation, and digital forensics study the foundational principles of these cybersecurity topics. Learners discover automated and manual techniques for detecting and neutralizing cyberattacks, as well as professional tools for recovering, cataloging, and documenting hidden and deleted data for internal and external investigations. How Long Does it Take to Get an Online Master's in Cybersecurity? Various factors affect the length of time needed to complete your cybersecurity master's degree, including whether you work toward your degree on a part-time or full-time schedule. Programs with individually paced learning structures, which allow you to customize your course loads and move through required and elective classes at your own rate, prove ideal for highly motivated learners looking to complete their degrees in the shortest possible amount of time. In cohort structures, all students progress toward degree completion at roughly the same pace, which offers more peer interaction and networking opportunities. Most MS in cybersecurity programs cover a total of about 30-36 credit hours of coursework, though these features vary from school to school. Students working on expedited schedules can complete their degrees within about 12-18 months, though most learners take the equivalent of two academic years or four semesters of full-time study to meet graduation requirements. Some programs require students to complete all coursework within a set time, usually five years, to remain eligible for their degrees. Branded as the first certification emerging IT security professionals should earn, the CompTIA Security+ designation assures employers that the bearer has proficient, performance-tested risk management, mitigation, detection, and threat reduction skills. To achieve this certification, you must pass a 90-minute, 90-question test that includes multiple choice and performance-oriented sections. Aspiring specialists in intrusion detection, mitigation, and neutralization should consider this relatively new certification. CEHs possess an encyclopedic knowledge of the same techniques and vulnerability exploitation strategies hackers use to compromise networks, uniquely positioning them to prevent and respond to cyberthreats. The four-hour CEH exam features 125 multiple choice questions. An essential certification for professionals marketing their cloud computing expertise, the Microsoft MCSE Productivity Solutions Expert designation covers data security, productivity, and logical aspects of cloud migration strategies. This certification specializes in eight different areas, each focusing on a specific set of topics, such as server configurations and enterprise communication solutions. Accreditation is a type of formal certification issued by a recognized body that endorses a school or program, ensuring that it meets high academic standards and conforms to competency expectations of businesses and employers. Institutions and programs can hold one of two accreditation types: national or regional. National accreditation usually signals that a school has a private, for-profit orientation, or that its programs intend to provide practical vocational training as a primary function. State-run public institutions, nonprofit schools, and schools focused on academic or research activities usually hold regional accreditation, which is the more common of the two types. 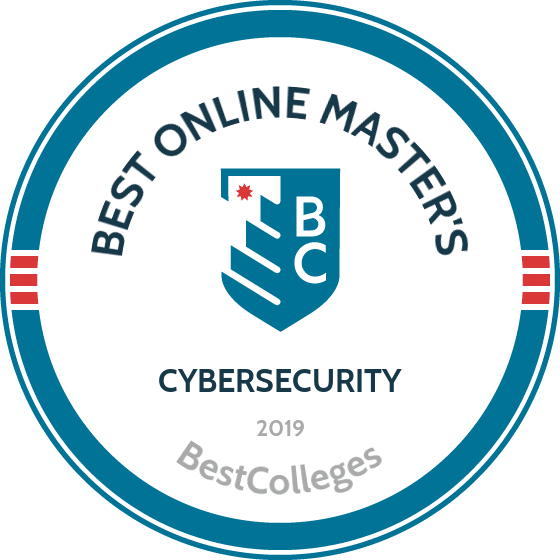 Some of the best colleges for cybersecurity offer accreditation by ABET, which recognizes high-quality college and graduate school programs in computing, engineering technology, and applied and natural sciences. While many reputable programs do not have ABET accreditation for varying reasons, you should insist on attending a school accredited by an agency or organization recognized by the U.S. Department of Education (ED) or the Council for Higher Education Accreditation (CHEA). An agency of the U.S. federal government, the ED supports the advancement of American educational quality at all levels, from elementary school to graduate school. It also works to ensure that schools based in the United States, and the students that attend them, continue to strive for elite levels of academic excellence. CHEA features an association structure with a current membership of more than 3,000 degree-granting institutions. It recognizes 60 different institutional and programmatic accreditations and serves as a major advocate of the self-directed, private-sector regulation of college and university education. CHEA rigorously screens partner accrediting organizations for quality and integrity in addition to serving as both a national and global accrediting authority. To ensure the schools under your consideration hold recognized accreditation, use the CHEA directory or the searchable database on the ED website. On average, professionals with a master's in cybersecurity earn significantly above-average salaries and enjoy strong earnings growth as they gain experience and move into the middle and later stages of their careers. Continued success in this field depends on your commitment to ongoing professional development, skills training, and staying informed as trends and new technologies emerge. Recognizing this, employers routinely connect their IT and information security professionals with continued education opportunities. In addition to individual workplaces, your professional experience level will impact the annual earnings of employees in the cybersecurity field. The next table features data from PayScale regarding expected salaries for common career paths followed by those with a master's in cybersecurity, tracked through different stages of their respective careers. With a master's in cybersecurity, you qualify for an exciting and varied range of career paths in information security, data security, network security, software development, and other computing- and tech-related fields. The most successful cybersecurity professionals possess excellent problem-solving skills, logic skills, and strong attention to detail. They also display genuine enthusiasm for emerging technologies and stay abreast of the latest security strategies, in addition to the evolving techniques used by hackers and cybercriminals. As integral members of information security teams, information security analysts conduct audits of current protocols, identify weaknesses, and design and implement solutions that protect physical and digital assets. While some entry-level positions require only a bachelor's degree, holding a master's in cybersecurity will give you a competitive edge in the job market. Systems administrators oversee the everyday operations of an organization's computer systems and networks, evaluating the needs of their employers and clients, designing solutions, and making important software and hardware upgrades. A master's degree can qualify you for a wider range of higher-paying jobs, as many entry-level candidates hold bachelor's degrees, associate degrees, or certificates. This career path requires advanced expertise with specialized administration software and data organization tools. Database administrators work to ensure that critical information remains accessible to authorized users while protecting it from unauthorized individuals and external threats. They also supervise the safe and efficient operation of databases and computing networks. Holding a master's degree may open up positions beyond the entry level, as most new database administrators hold only bachelor's degrees. Also known as "systems architects," systems analysts concentrate on maximizing the efficiency and safety of an organization's computer networks. They evaluate new and emerging computing and networking tools, evaluating their suitability to determine if they would generate a worthwhile return on investment. Given that many entry-level professionals possess competent computer skills but do not necessarily hold a related degree, a master's degree will provide a competitive edge. With a cybersecurity degree, you can pursue a career as a security software developer. In this role, you will design, develop, test and configure security tools for desktop computers, mobile devices, and networking equipment. Pairing a cybersecurity master's degree with advanced programming skills will differentiate you in the eyes of employers, as most entry-level professionals hold only a generalized bachelor's degree in computer science. Networking and conferences are incredibly important to all internet security professionals. In technology hubs like Silicon Valley and Seattle, the professional connections you make at these events can lead directly to jobs. There are many professional organizations in the field of information technology that provide opportunities for both potential careers and professional development. We have highlighted a few of the best organizations below. CompTIA membership offers opportunities for professional development, research, and education, in addition to providing a great networking opportunity for many technology professionals. CompTIA also issues the CompTIA Security+ certification. The EC-Council provides information security training and certifications in over 140 countries worldwide. They also issue the Certified Ethical Hacker (CEH) certification. GIAC issues more than 30 different certifications in the information security field. This organization also provides a variety of cybersecurity resources specifically for employees of the federal government. The first step to financing your online master's degree in internet security should be filling out a Free Application for Federal Student Aid (FAFSA) form, which will allow you to explore your qualifications for aid. Some colleges even require that students complete the FAFSA to become eligible for scholarships and grants. There are many graduate scholarships offered by professional organizations in the cybersecurity field. For example, the Center for Cyber Safety and Education offers a graduate scholarship for on-campus or online master's students.